Composed by Domenico Cimarosa. 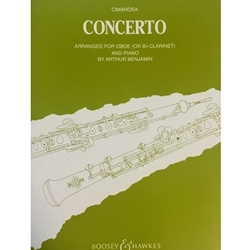 Arranged for oboe (or Bb clarinet) and piano by Arthur Benjamin. Published by Boosey & Hawkes.